Lynette Eason always gives her best. And once again, it was GREAT! She is truly a talented writer with an imagination and the creativity to drag us all deep into her stories, and keep us there! 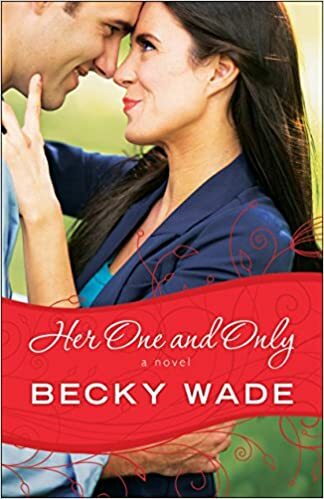 Olivia is tasked with the job of keeping Wade, psychiatrist and radio personality, and his daughter safe from an unkwown stalker. This stalker has taken it to new heights by taking out Wade’s first body guard. She is now laying in a hospital fighting for her life. Can Olivia and her team keep them safe? Or will they die trying? Wade is faced with being stalked, nearly killed a few times and trying to help his daughter not go into anxiety attacks. Bombs, gifts, candy, this stalker will stop at nothing to get what she wants. Who is she? What does she want? You will be shocked when you find out the truth, I know I was. Anyway, you will love this book, the author and the rest of this series. If you haven’t read anything by Lynette Eason yet, here is your chance! You wont regret it! I received a complimentary copy of this book from Revell through Baker Publishing Group in exchange for an honest review. These thoughts and opinions are all mine. I’m so sad to see this series end. I have come to love Mary Catherine, Marcus, Sami and Tyler. Even Lexi has my heart. But they are not the main characters here, God is! You can feel him in every book written by Karen Kingsbury but Brush of Wings took it a lot deeper. Sami is continuing on with the youth center. They have added a counseling night for the teen girls in the neighborhood. A lot of people are showing up, and opening up. Everyone except Lext. Tyler is busy at training camp and can’t get home to see Sami very often. But their relationship is going strong and about to take a huge step. Now, back to Lexi. She is back in the gang. Dating the leader, and paying the price for it. He is angry all the time, and really ruff with her. When she tells him some huge news he flips, and she knows she has to get out. Lexi and Sami become close while Mary Catherine is away. When she finally comes back home there are a lot of surprises to go around. Brush of Wings makes so many dreams come true for these characters while pulling them through life changing seasons. You will cry, laugh, then cry some more. But trust me, its totally worth it! I received a complimentary copy of this book via NetGalley in exchange for an honest review. These thoughts and opinions are all mine! Come back Tuesday (also the release date) for my review of Brush of Wings. Irene Hannon never disappoints. I fell completely in love with these characters. Through out this whole book you are draining all your emotions out. You don’t know if you want to be sad and cry like a baby or smile so much your face starts to hurt. Christy is a former figure skater, now coaching at a local ice rink. She has in the last six months lost her parents in a car wreck and her only sister in a house fire. Or so she thought. She is forced to hope, and reach for an outcome that is highly unlikely. All the while trying to figure out who she could have possibly hurt enough for them to want revenge and her to be miserable. Lance is just starting a new career in the FBI, unused to following protocol and unsure how to really go about doing things. His first case ends up being a phone call about someone possible being kidnapped. After she had died in the fire that destroyed her home. And that’s how Lance and Christy meet. During this investigation, or really waiting around, they form a friendship that is unlike any either have ever had before. They grow close and share things that they have never shared with anyone else. Together they grow in their personal lives, taking away anger and grief while trying to keep the relationship simply business. I received a complimentary copy of this book via Baker Publishing Group in exchange for an honest review. These thoughts and opinions are all mine. You have no idea how happy I was to see not on Lynette Eason but also Dee Henderson on this cover. Henderson hasn’t put out a book for a lil while and now I’m reading two within a week or so of each other? YES PLEASE! John flies back to his home town because his mother is missing. No one know when she disappeared or how. Her car is in its normal parking spot, her keys and other belonging are all in place with nothing missing but her.John works with Sharon Noble, the Chicago cop in charge of the case, to find out who took her. Is it someone from his past undercover ops, or someone new. There are multiple agencies working on this one. Can they find her in time? John and Sharon become fast friends and learn how to work together, while forming a friendship. Ill tell you there is more than one happy ending here. Alaska, 1979, Libby and other competitors are there for a swimming competition. On the afternoon she has off from training Libby has scheduled a whale watching tour. It was raining so others canceled. She talked Ben, a big strapping Alaskan fisherman, into taking her on the tour anyway. Once they are out to see they actually get to see some whales, then a body. Who is it? Well, she knows the girl. But is she a Russian spy, or trying to defect into America? What would you do if you had no memory of a horrific crime that you supposedly had a part in? After you figure that out try to decide how to stay alive while you start remembering and whoever it is that doesn’t want you to decides you need to die? Well, that’s what Macey is trying to figure out. Especially since that person is now actively trying to make sure she doesn’t remember. Luckily she has a cop for a neighbor that comes to her rescue and make it his personal mission to make sure she stays safe. Enjoy the journey Macey and Ben take while finding a murderer and falling in love.